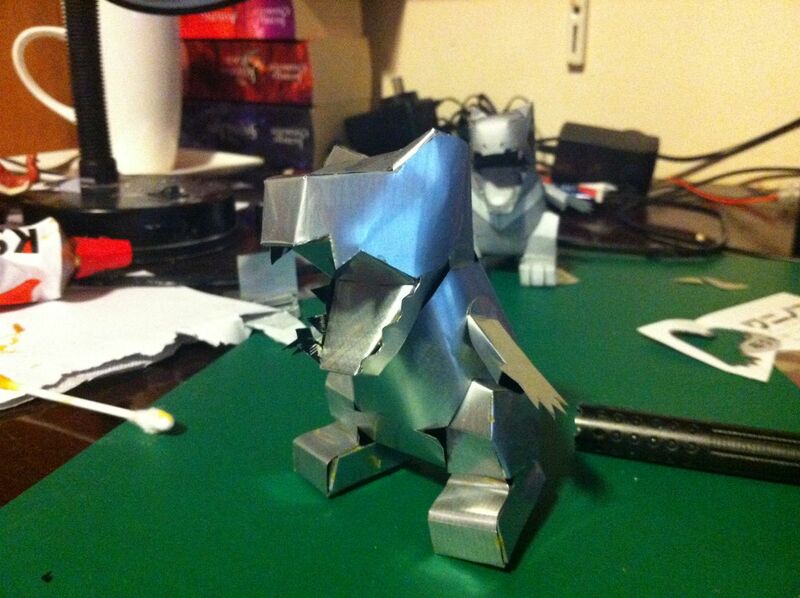 I wanted to see if papercrafting was possible using aluminium cans (ie. Coke cans), I did a bit of a google around and there doesn’t seem to be a lot of information on the subject, so I figured I’d do some research and try a few techniques out to see what I could come up with. I’ve split this into sections to make it a little easier to read. 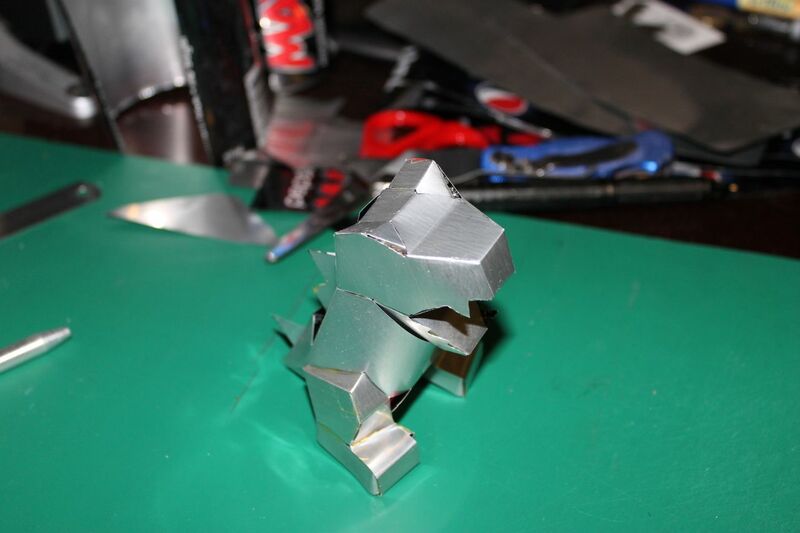 If you’ve never made anything out of papercraft before, I suggest you look elsewhere Papercraft Museum and make something out of paper, it takes a significant amount of more effort (and time) to work with aluminium. First up, I used a knife to cut the top and bottom off the can (you can use scissors, but you’ll need to use a knife to get a start to it) and then using scissors to chop the cans into a piece I can flatten. After you’ve cut them into sheets like that, neaten the edges by using a pair of scissors to cut them straight and make sure there’s no little sharp bits. The method for flattening the cans that I’ve found works best is to use a sandwich maker (an old one, don’t ruin your good sandwich maker!!). 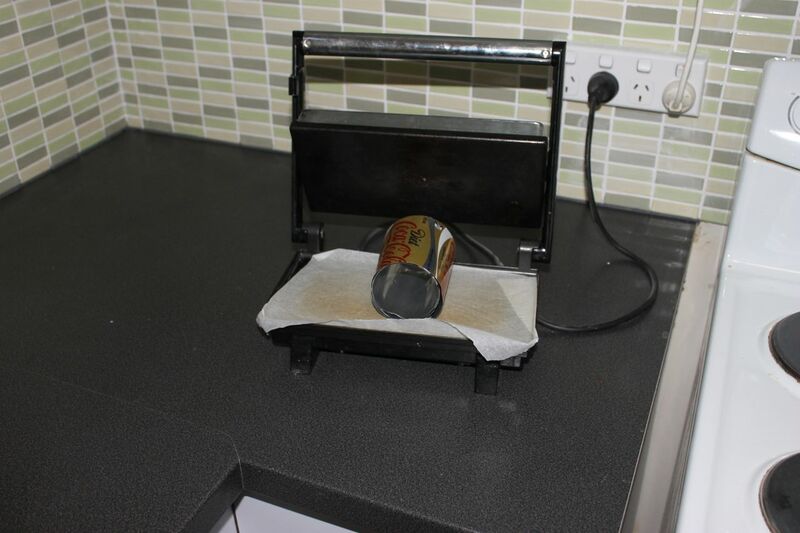 Before turning it on, lay down a piece of baking paper on the bottom, put about 4 cans in, then add another layer of baking paper on the top (this should help prevent at least a little bit of damage to the sandwich maker). Hold the cans down flat as you close the lid, once you’ve done that, turn the sandwich maker on. I haven’t fully experimented with getting the best efficiency here, but I left it on for 10 minutes with 4 cans in there, then turned it off and let it cool before I opened it. * Ironing and bending at the same time. This method works, but you end up with your piece looking a little bit bent as it’s hard to get it as flat as you would in a sandwich maker. 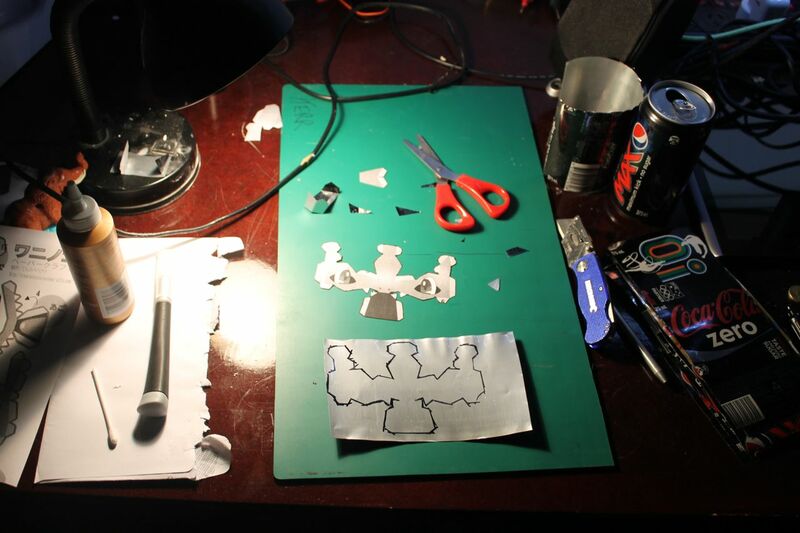 I printed my design out on paper first, cut the paper version out then used it to trace onto the sheet. You may end up with pieces that’re bigger than the can, so you’ll have to deal with this by splitting it into 2 pieces. Also, because the cans are way thicker than paper, you’ll end up with parts that will fall short because the thickness of the paper messes it up. I just dealt with it as I went and it may have resulted in a less than perfect final product, the design would probably have to be altered to give a bit of room in some corners to account for the extra thickness. 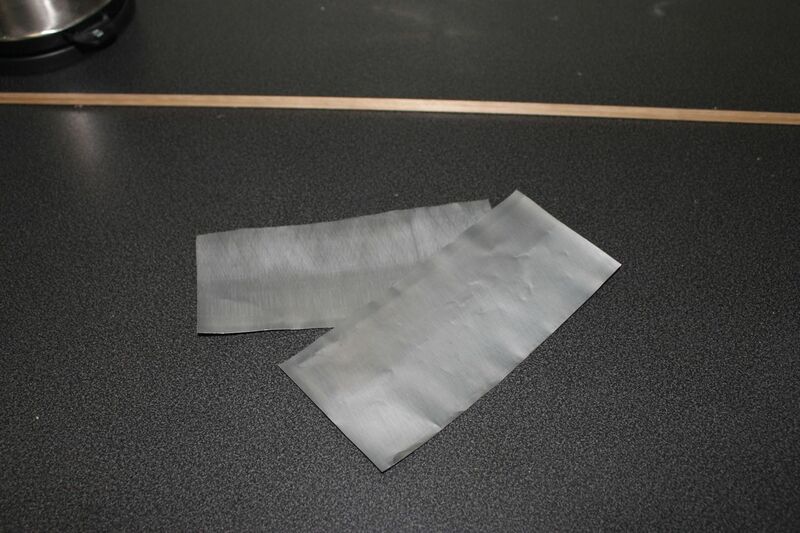 Using a knife is practically useless, you just can’t drag a knife through aluminium like you can through paper. Scissors on the other hand are brilliant, it’s just like cutting through paper. The only issue is the end of the scissors can cause the aluminium to bend a bit. To counter this, I use a knife to piece the corners, then use the scissors to cut up to them. It’s not perfect but does the trick nicely. You should also score the pieces using whatever you normally use to score, I use a thing that’s a bit like a needle on the end of a knife handle. This part is going to take the majority of your time, I suggest you glue 1-2 pieces at a time, put the contact cement on them, let them sit the full 20 minutes, then push together (hold for ~10 seconds or so to make sure it’s solid) before moving onto gluing 2 more pieces. Get a movie out, play some games… It’ll take a while. The contact cement wasn’t the greatest however, as if the metal is trying to flex against the glue, it’ll pull itself apart unless you sit there holding it for at least 30 seconds, even then it doesn’t feel as strong as one would hope. 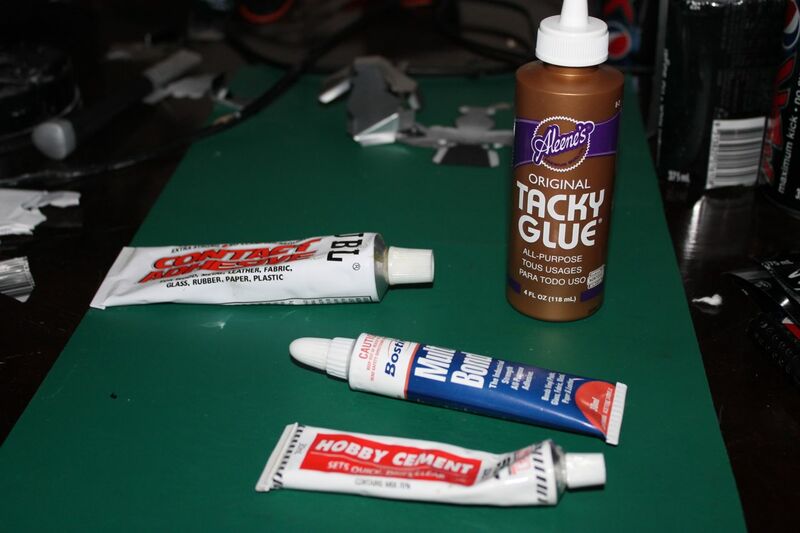 I didn’t end up trying Epoxy however, so that would be a good thing to experiment with. * Bostik Multi Bond – Same deal as above, it just can’t stick to the metal as well as it should. And here’s my end result! Would I do it again? Nope, it took me about 3 days to get the whole thing done when the paper version took closer to a couple hours…. 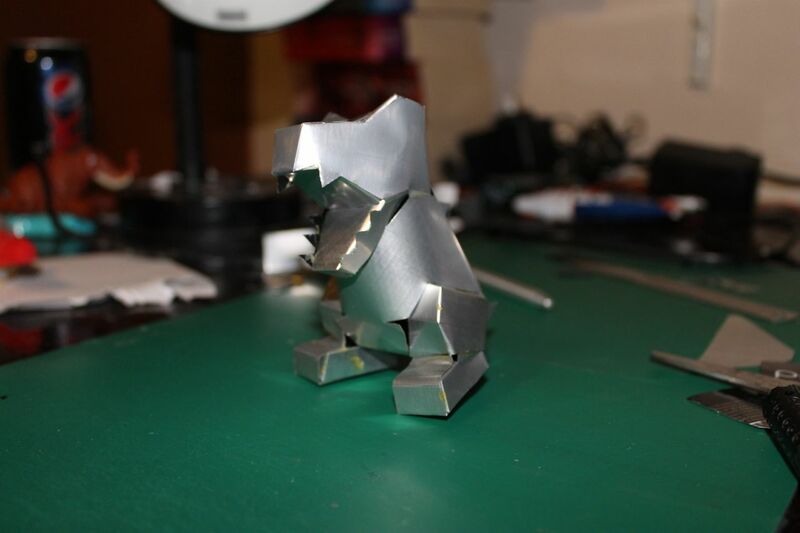 Basically: Epoxy works if your metal isn’t going to bend at all.